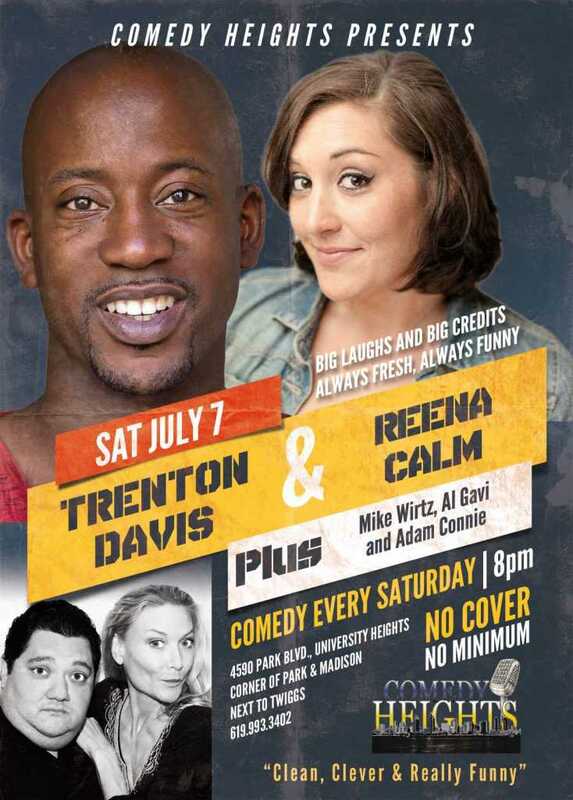 July 2nd to 7th at Comedy Heights! 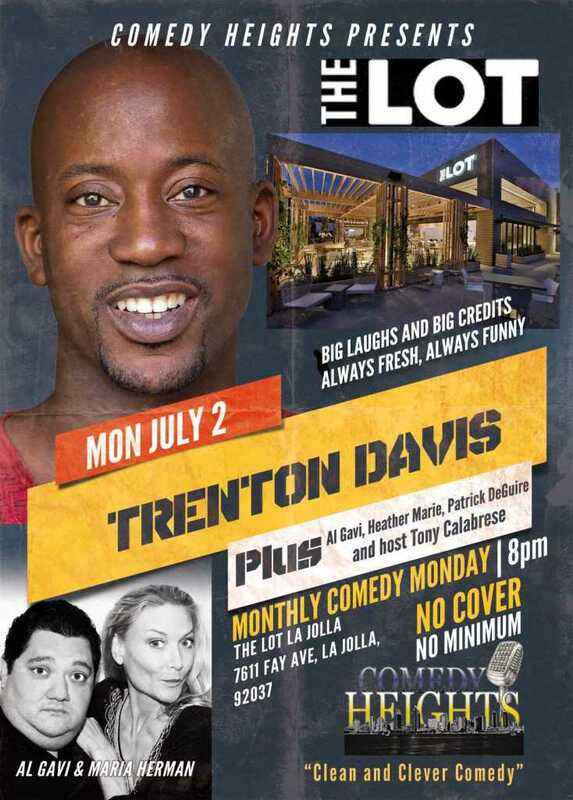 This Monday at the Lot in La Jolla 8PM! 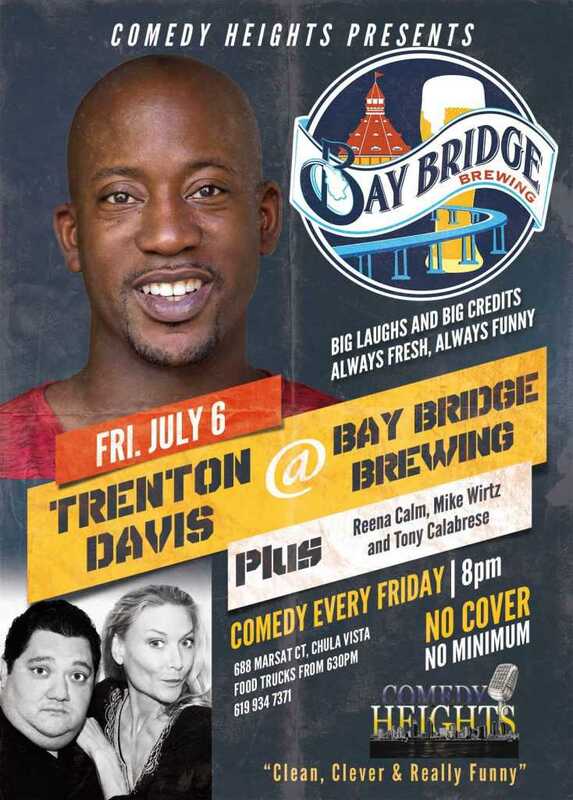 Trenton Davis with Al Gavi, Heather Marie, Patrick DeGuire and host Tony Calabrese! 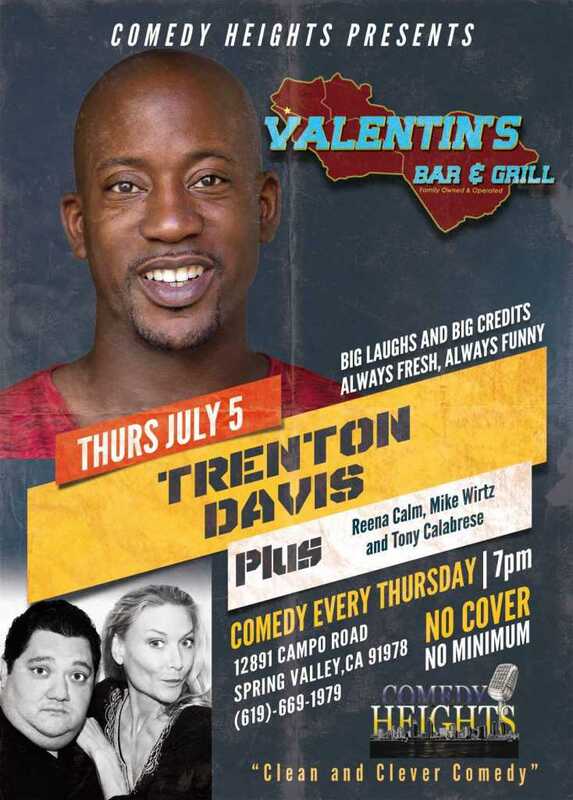 This Thursday at Valentin’s Bar and Grill 7PM! Trenton Davis with Reena Calm, Mike Wirtz and Tony Calabrese! This Friday at Bay Bridge Brewing 8PM! Trenton Davis with Reena Calm, Mike Wirtz. Andrew Tarr and Al Gavi! This Saturday at Twiggs Coffeehouse 8PM! Trenton Davis with Reena Calm, Mike Wirtz, Al Gavi and Adam Connie! Next story Thursday July 5th at Valentin’s Bar and Grill! Trenton Davis! Previous story July 2nd at The Lot in La Jolla! Trenton Davis!